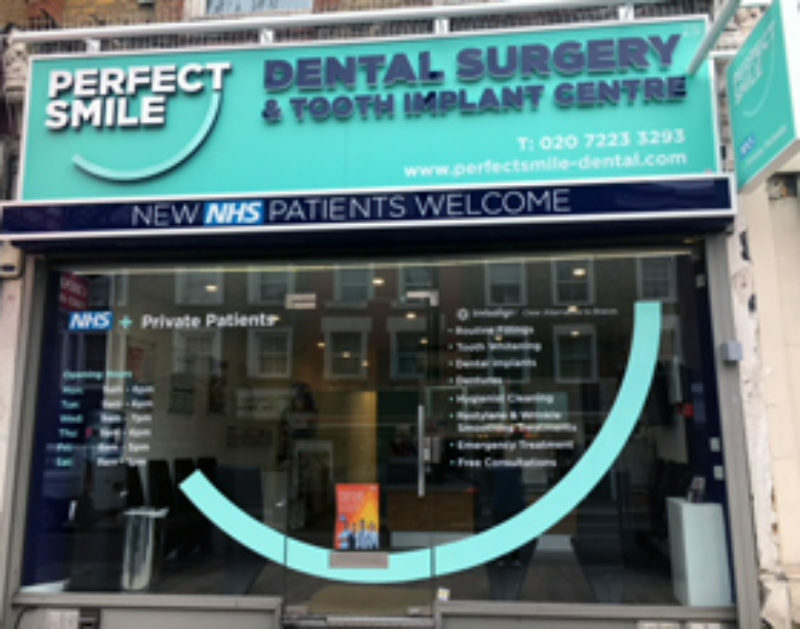 We offer NHS & private dentistry and are a well established and newly refurbished dental surgery that provides comprehensive dentistry of the very highest quality. Perfect Smile Battersea became a part of Perfect Smile group in 2007. We have five dentists and three hygienists. Dr. Frej Rahmani is our leading dentist in Invisalign treatment, Dr. Eric Battista is our in-house implant Dentist and Dr. Helena Puskarz is our leading dentist in Six Month Smiles teeth straightening treatments. The nearest tube station is Clapham Common, Clapham South tube station. Trains : Battersea park, Clapham junction. Tube: Clapham Common, Clapham south tube station. Train: Battersea park, Clapham junction. I recommend this practice all the time. I was a fearful customer with terrible teeth. My previous dentist advised I had to have six teeth extracted. Was recommended Perfect Smile who saved them all. I am always complimented on my teeth. I feel the dentist genuinely cares! Professional and try to accommodate me every time. Can’t praise them highly enough. Friendly staff make you feel welcome the moment you walk through the door! My experience was smooth and had absolutely nothing to complain about! I was seen to within minutes, treated with respect and care. My dentist explained everything to me and even while doing the procedure so I knew what to expect. It’s a clean surgery and despite being far from home, I received great service so it’s well worth the trip in my opinion. Invisalign full - 10 months, spacing and open bite corrected. Invislaign full - 12 months to correct anterior open bite and cross bite, fully corrected. Invisalign full - 12 months, correction of open bite and spacing. 12 months to correct diastema and protrusion. 6 months Invisalign Lite for correction of crowding.